Jean Robinson joined Holland and Reilly in January 2010 and has over 15 years of experience working with Public Accounting firms. She is an accountant for the firm and performs tax, bookkeeping, and payroll services, as well as other duties. 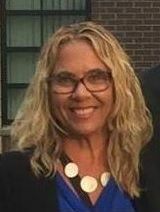 Jean graduated from the University of Southern Indiana in 1985 with a degree in business, and received an Accounting Applications certificate in 2015 from Valencia College. Jean and her husband Charlie live in Windermere, FL, and have two grown sons, one residing in Atlanta and the other in Gainesville. She enjoys reading, exercising and travelling with her family.